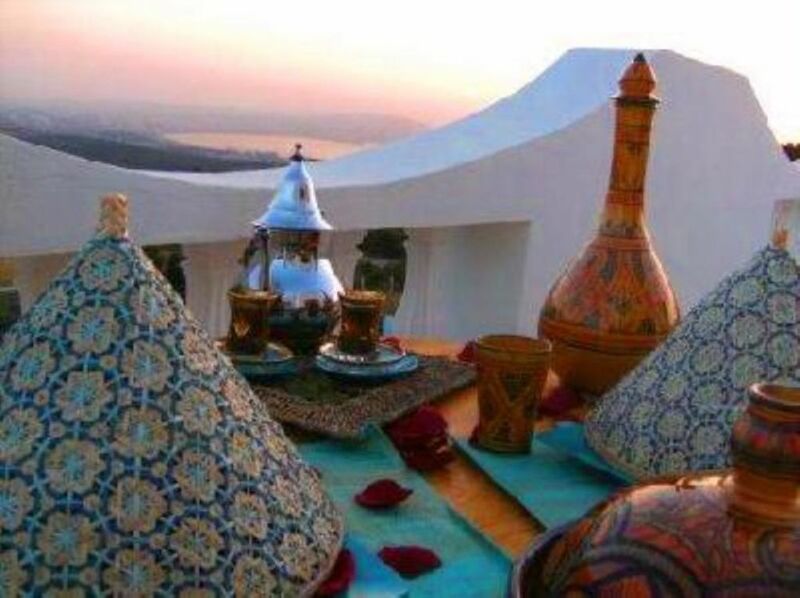 Just a few miles northeast of Tangiers, The Riad Dar Bahra sit in unique rural surroundings overlooking at once the billowing swells of the Atlantic and the azure calm of the Mediterranean. Dar Bahra is also called the balcony of Tangier thanks to its unrestricted views over the Bay of Tangiers and the Straits of Gibraltar . Basking in quiet and pleasant surroundings and a unique oriental atmosphere, Dar Bahra opens its doors to you to fill your stay with magic. Enjoy your time with us in serenity. festivities.